Orderhive offers a one-way integration with QuickBooks Online, a leading accounting software that is widely used by retailers. This integration is aimed at reducing accounting silos and allow retailers as much as time possible to focus on core business processes. Orderhive is well-connected with QuickBooks in a way that it sends important sales and purchase information to help you facilitate accounting practices. Note: Currently, the integration is supported for all QuickBooks Global accounts. Taxes should be properly defined in QuickBooks. We populate tax values in Orderhive tax settings from QuickBooks. Taxes should be properly defined in settings of your store & marketplace. The tax values should be same as defined in QuickBooks. Difference in tax values between orders in Orderhive and QuickBooks will not sync invoice to QBO. Orderhive sends product and stock quantity to QuickBooks on creation of invoice. There after Orderhive does not manage inventory in QuickBooks. If you wish to manage same stock in Orderhive and QuickBooks then it has to be done via raising purchase order to increase and sales orders to decrease stock. We recommend you to enable Multi-currency settings in your QuickBooks account if you deal in multiple currencies and countries. Orderhive will check the multi-currency settings that you have configured in your QuickBooks account to sync and convert currencies. 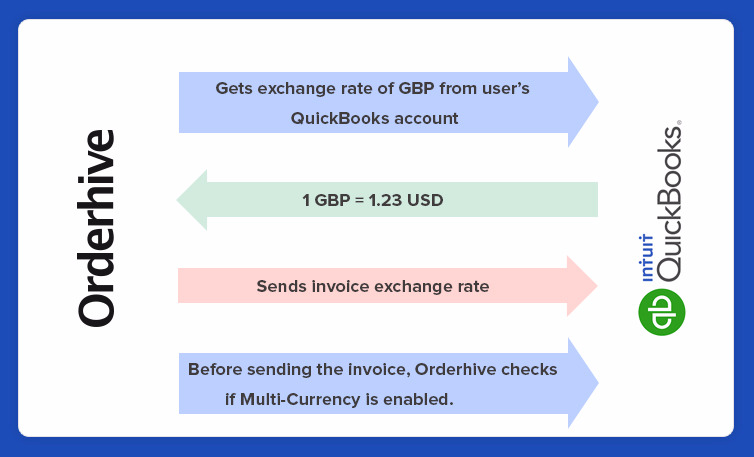 Let say, your customer’s home currency is British Pounds and the invoice is generated in USD for the same customer, then Orderhive will convert according to the exchange rate specified in your QuickBooks account and export the invoice. After you connect your QuickBooks account with Orderhive, we recommend you to edit the details from Manage integrations page. In case you want to change Orderhive & QuickBooks configuration in future. Orderhive will only sync records created after you integrate your QuickBooks account in Orderhive. Currently, Orderhive only supports QuickBooks Online. You can sync taxes from QuickBooks to Orderhive. 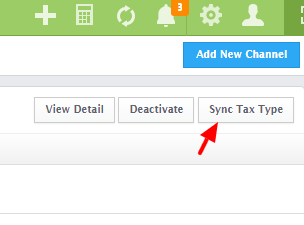 If a certain tax type needs to be synced in Orderhive (that doesn’t exist yet), then you can add the tax type in QuickBooks and then sync the same to Orderhive by using “Sync Tax Type” button on Manage Integrations page. Inventory tracking feature under this integration is only available if you’re a user of QuickBooks Online Plus account. Click here to read how Orderhive sends Purchase orders and Bills. Click here to read how Orderhive sends Invoices & Payments.